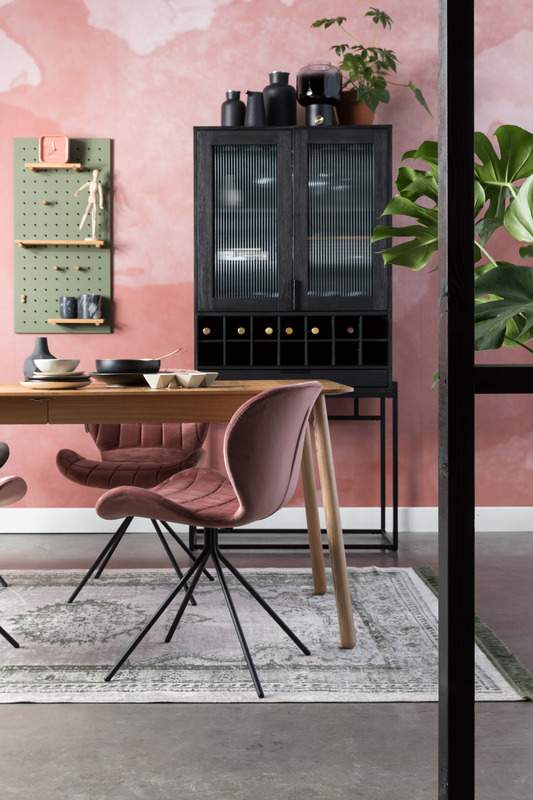 Pulling back one from the archives today because you may well have only come across this blog and two, it’s always good to recap on some design ideas for your homes. 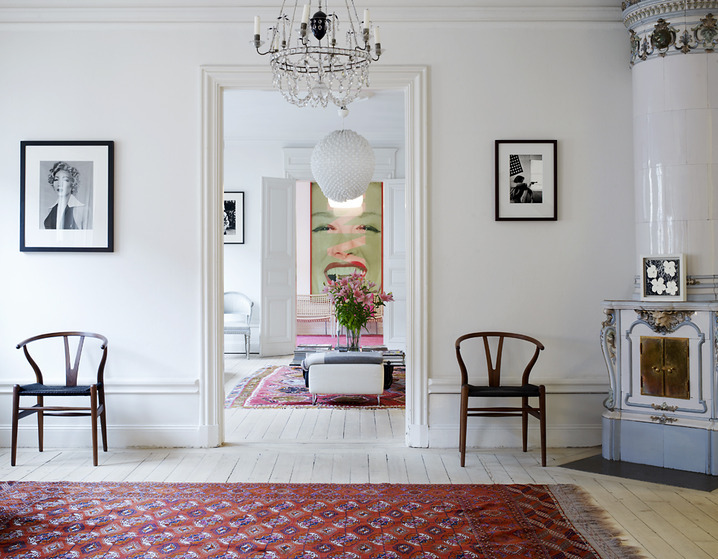 Rugs are an important aspect to creating a fabulous home and deserve a second mention don’t you think? I see rugs in our homes as shoes are to a well-dressed outfit. You wouldn’t go to the trouble of selecting your best outfit for a night out and then go barefooted. It’s the same principle with rugs. Shoes complete an outfit and, in some instances, will actually outshine what you’re wearing, if you want them to that is. It’s the same with rugs. 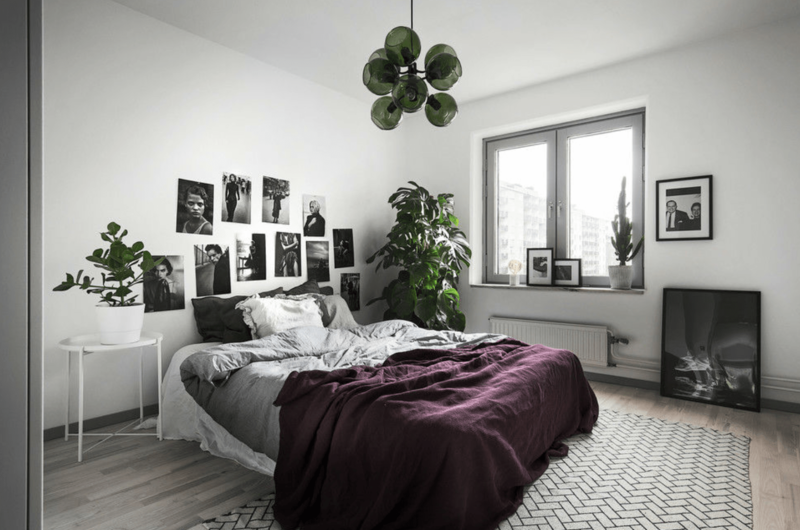 They can be a game changer on how a room looks and feels. 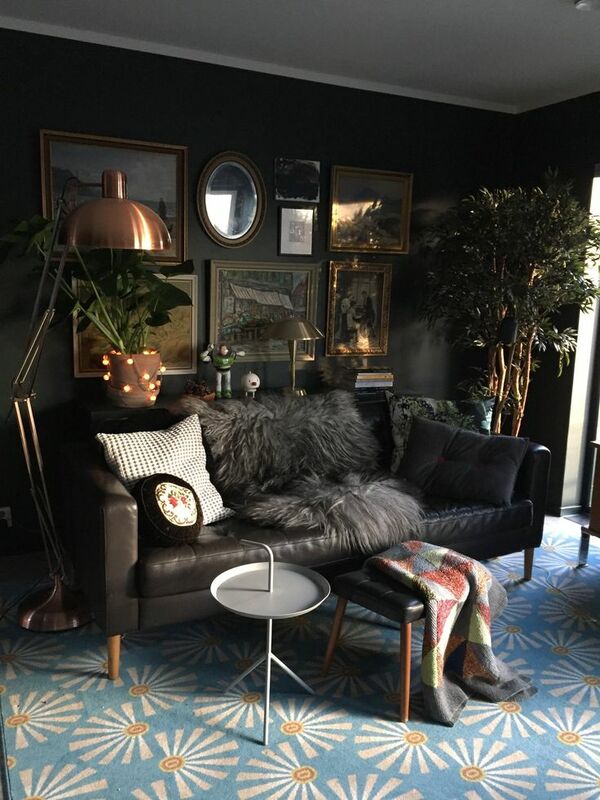 Rugs can either sit in harmony with your room, or like this fab living space below, they can make a statement by adding an element of surprise, and I for one, love surprises! There are, of course, a lot more reasons why we should have rugs in our homes, and so I’ve put together a post today for you to enjoy the wonders of dressing your floors with rugs. First up, hallways. They can have the tendency to be dead, unwelcoming spaces. So what better way to liven them up than with a rug. One of the reasons you may want to consider a rug in your hallway is that they can create a visual pathway that draws the eye to any connecting rooms. 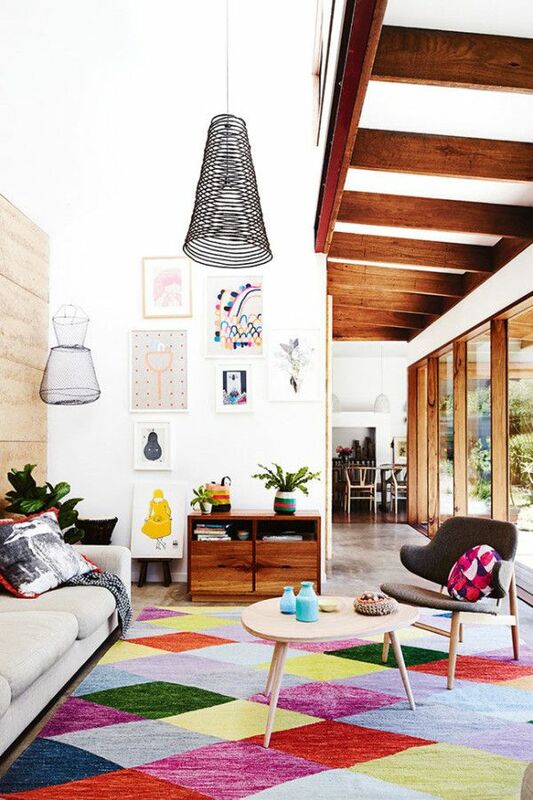 This means you can have fun and introduce pattern and colour with your chosen rug. Although, you’ll need to consider how your scheme flows into connecting rooms. Add warmth and character to hallways, and corridors so they don’t become dead spaces. 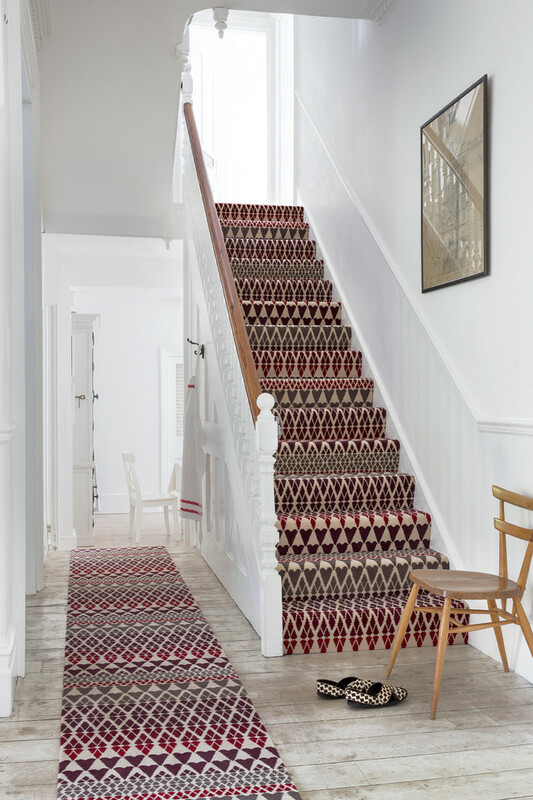 A hall runner made from your stair carpet is a great way to create a cohesive look and feel to your hallways. 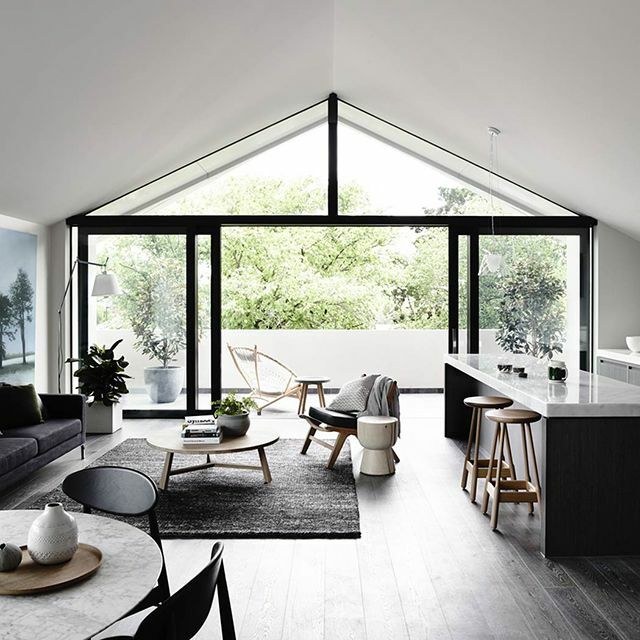 By placing similar style/coloured rugs in connecting spaces, you unify and create a visual connection between the two rooms. This, in turn, makes each room flow from one to the next as your eye is drawn from one space to the next. This works particularly well in neutral and/or minimal spaces. Rugs are the perfect solution to sound absorption especially if you have hardwood/tiled floors in your homes and great for flats/apartments. 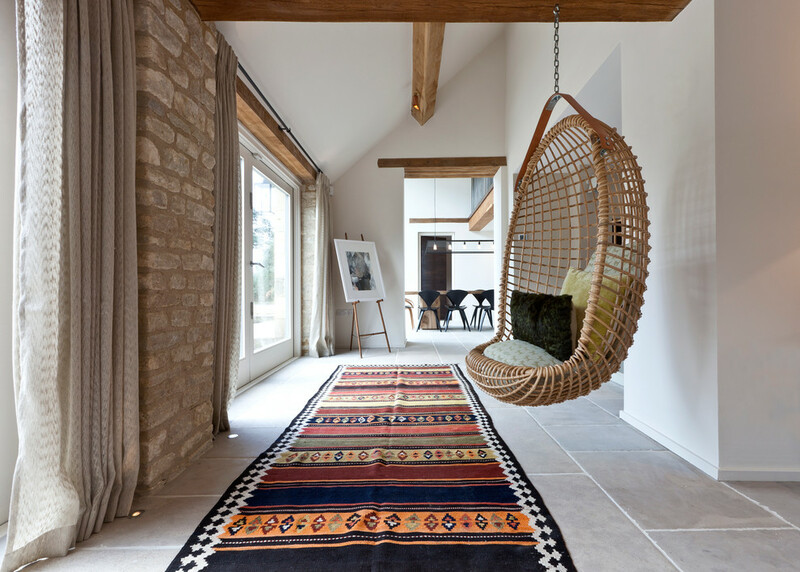 Angling and layering a duplicate rug on top of another has made a feature out of the seating area in this open-plan space. 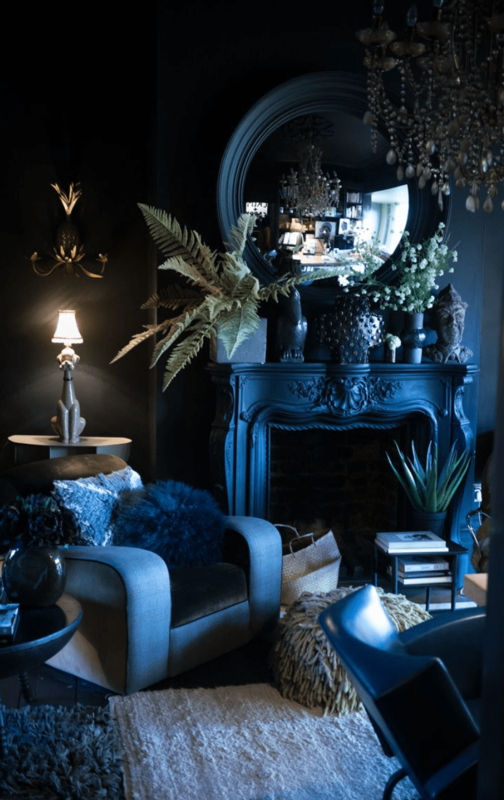 So if you’re struggling to find a rug large enough to ensure it doesn’t look like it’s a tiny fish swimming in the ocean when it comes to your seating areas, opt for more is more by introducing the layered effect. It’ll create greater impact than one large rug. 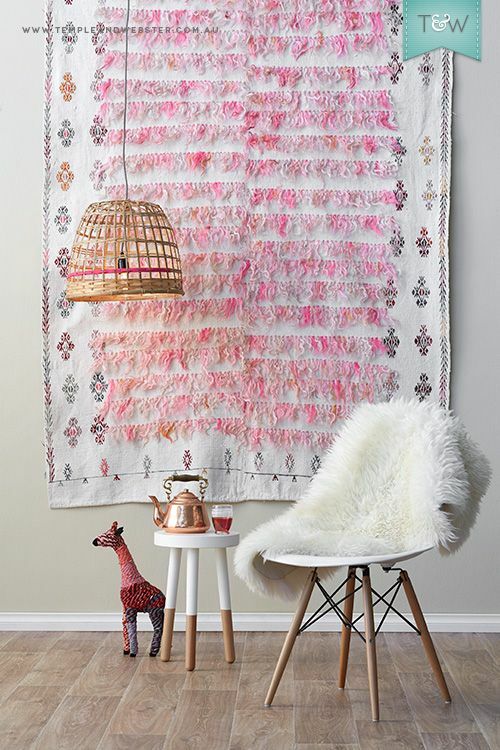 Rugs have become works of art in their own right and if you happen to come across one that’s just too good to step on, then maybe consider hanging it on your walls. They not only provide a decorative element but are also great for walls where you may need to a little bit of extra help in absorbing sound from adjoining rooms. Check out my post on How To Add Texture With Decorative Wallhangings to find out more. When choosing your rug look towards other elements of your design scheme, such as colour. If the rug you choose has an element of your design scheme, it will help reinforce, and create a more cohesive feel and look to your room. Rugs really are essential to creating a well-dressed room. The problem with open plan spaces is that your furniture can look a bit lost much like a ship at sea. Use rugs to reinforce areas within the space with rugs. They’re great at zoning off spaces and anchoring your furniture. Oh, and they help absorb sound which is a necessity in large open spaces. If you want to be brave and use pattern there is no better way than introducing it through a rug. For one it’s easier to live with compared to decorating your walls. Using pattern below your visual field when entering a room makes it appear less intrusive. Rugs are also a great way to introduce pattern to neutral spaces and provides your room with a sense of character and personality. 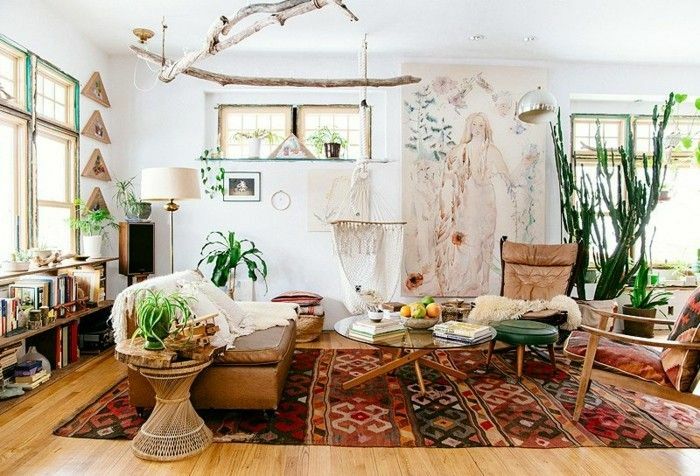 Rugs can accentuate the style of a room and feel like this fab boho living room where the rug actually adds some depth and warmth with its rustic colour palette that compliments the rest of this space. Bathrooms tend to be quite neutral/sterile spaces, unless, of course, you’ve already followed my post on 10 Ways to Add Personality to Your Bathrooms. 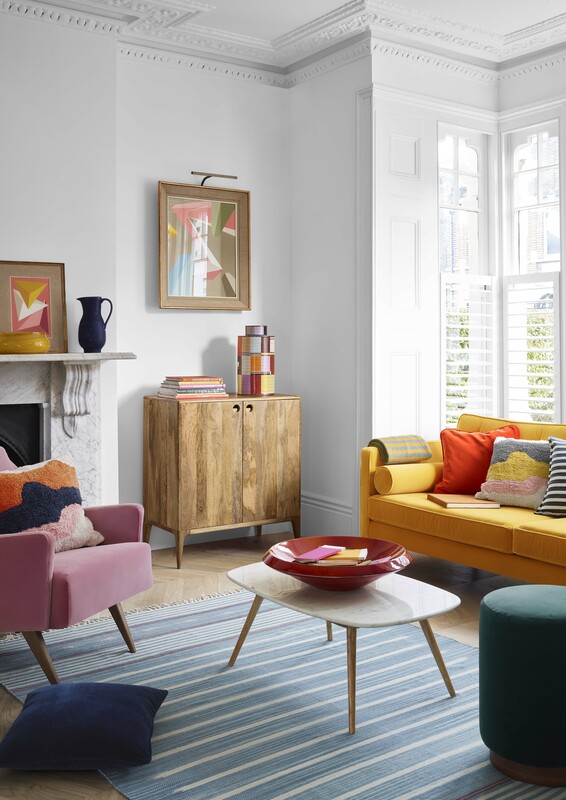 So adding a rug will definitely introduce not only colour and pattern but textural warmth as well as being practical and comfortable underfoot. Talking about texture, rugs today are being designed more and more with a 3 dimensional quality to them such as this beauty called Capitone by Jamie Hayon. These types of rugs provide a visual depth to your floors offering textural contrast and interest. An instant hit for your feet, if not your senses, the shag pile rug is a must for those of you that adore tactile materials. How you could resist taking off your shoes and relaxing in this living space. As I’ve mentioned before in previous posts on texture and colour, darker styled spaces need more texture due to lack of shadows being formed. 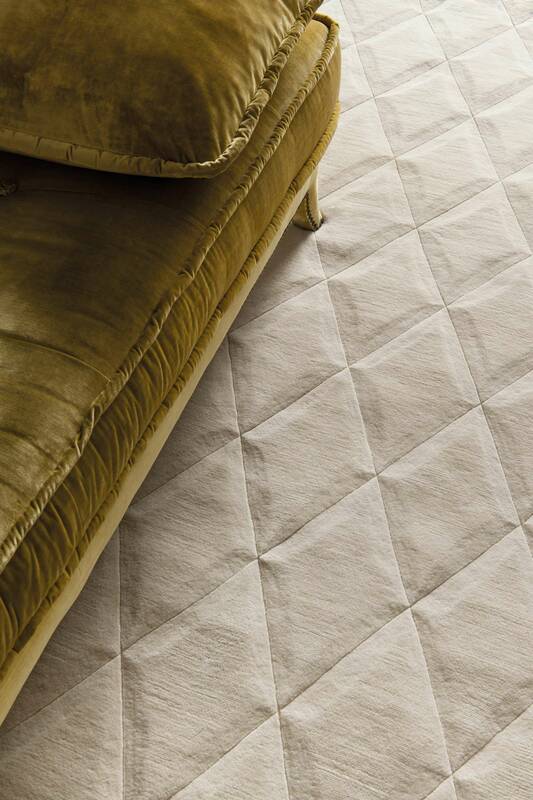 Using a rug is an instant way to create essential texture to prevent them from appearing flat and boring. It also helps to visually lift a darker design scheme. 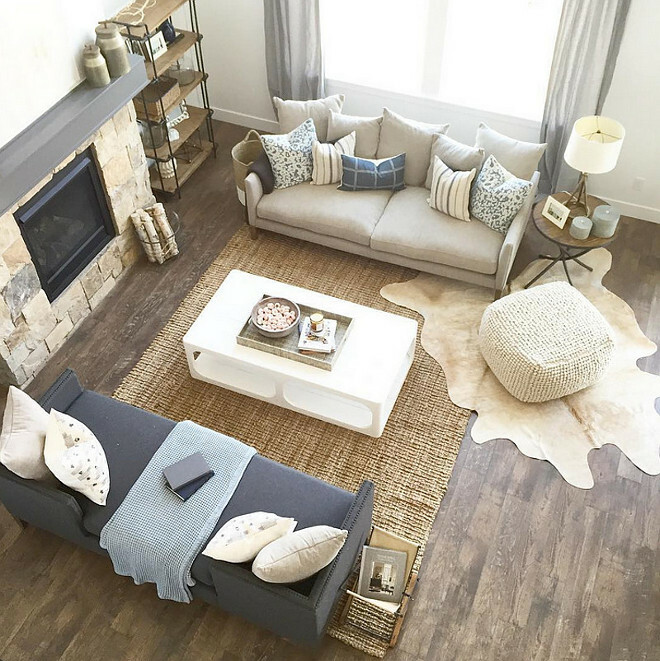 Layering rugs provides additional textural contrast which creates more interest which is done beautifully in this farmhouse styled living space. Whatever rug you decide to go for ensure you choose the largest rug you can for the room it will reside in. Avoid the floating rug in the centre of the room. 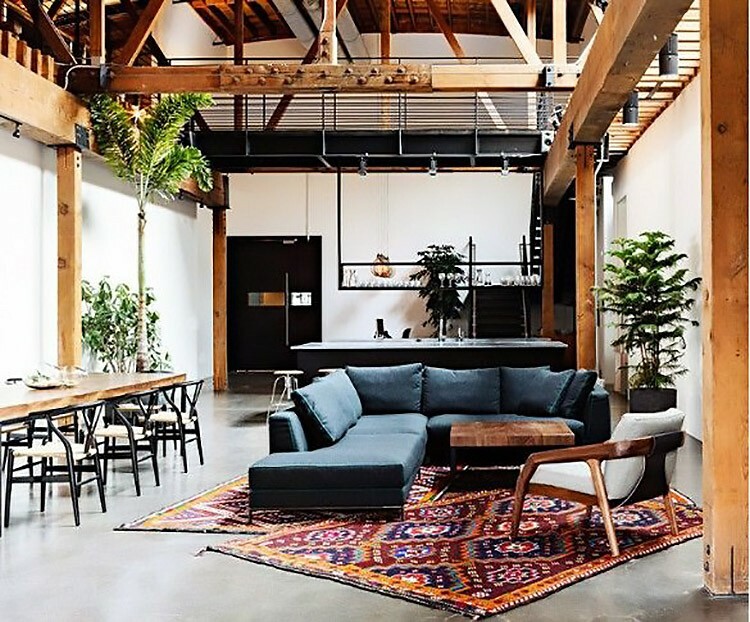 Ideally, the rug you choose should be large enough to fit under all four legs of each piece of furniture. If this isn’t possible the front legs of your furniture should be positioned on the rug. Apart from anchoring your furniture, it also helps prevents trips and falls. 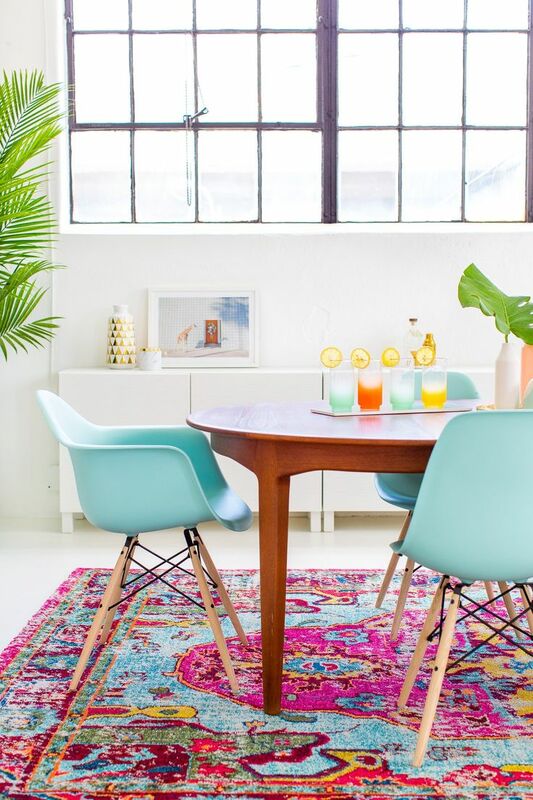 Your rug size should be based on the dimensions of your room and not your coffee table. Opting for a larger rug will fill in the negative space created by your furniture arrangements. You should never underestimate the simple pleasures in life and a rug in any space is one of them. Until next time, thanks as always for stopping by……..